Looking for alternatives to Animoto? We think Biteable is the best online video maker around, but we may be biased. So you can make an educated decision, in this article we’ll go in-depth and break down everything you need to know about the key differences between Biteable vs. Animoto. Here’s a quick reference guide to get you started. There’s no need for a free trial with Biteable. The free plan gives you access to many of Biteable’s best features and lets you create up to five video projects per month. Animoto offers a 14-day free trial of their Professional plan. Signing up is quick and easy and no credit card is required. At Biteable, we think anyone should be able to create a beautiful, high-quality video without any previous video-making skills. 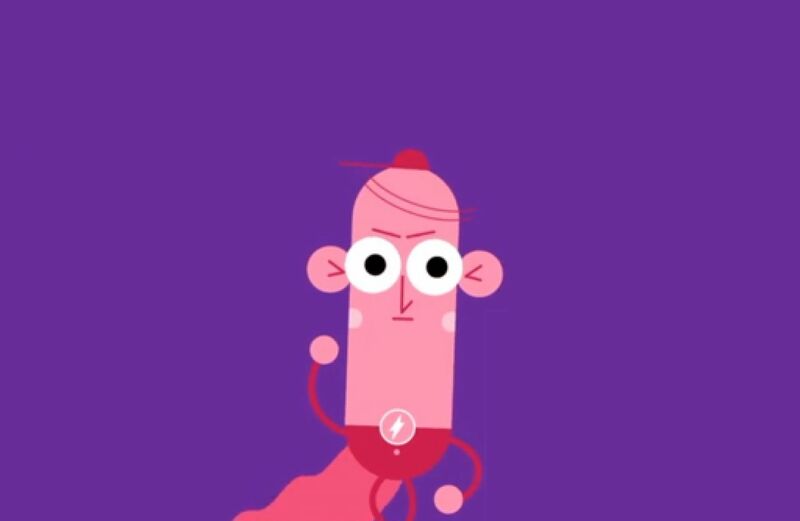 So we’ve created a plethora of animated scenes and worked hard to make Biteable as intuitive and easy to use as possible. In fact, our ease of use is one of the things our users love most. Instead of browsing through our 1000+ scenes to find the one you want, you can use our tool to narrow down your search and we’ll suggest some templates that might work for you. Once you choose your favorite, we’ll take you right to our video editor to start customizing. From here you can add text, rearrange scenes by clicking and dragging, copy or delete a scene, or add additional scenes from our library. Biteable typically loads quickly, with little to no lag when adding or switching between scenes or entering/exiting the video editor. 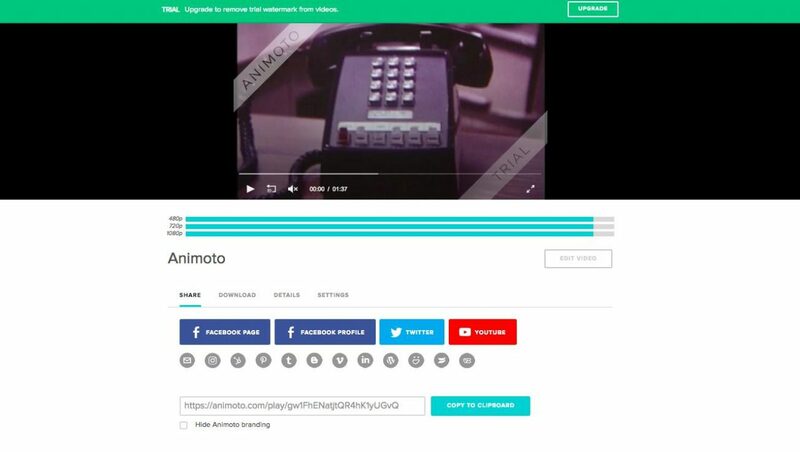 Similar to Biteable’s templates, Animoto offer pre-built ‘storyboards’ you can use to build your video. Depending on how many scenes your storyboard has, it may take a little longer to load. 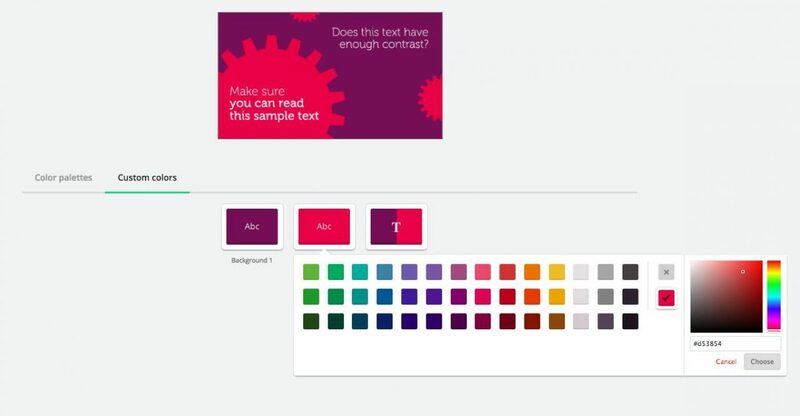 Once in the storyboard, you can customize scenes with different colors, fonts, and styles. You can also add additional ‘blocks’ (or scenes) to your video and click and drag to rearrange scenes. We found Animoto to be fairly intuitive and easy to use. 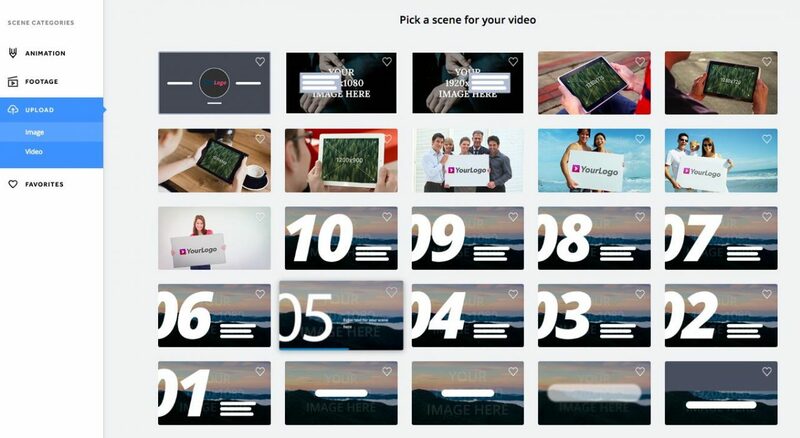 With a bit of trial and error, it didn’t take us long to customize a short, five-scene video. We did notice though, that unlike Biteable, you can’t seem to add additional, different blocks from the same collection or style. 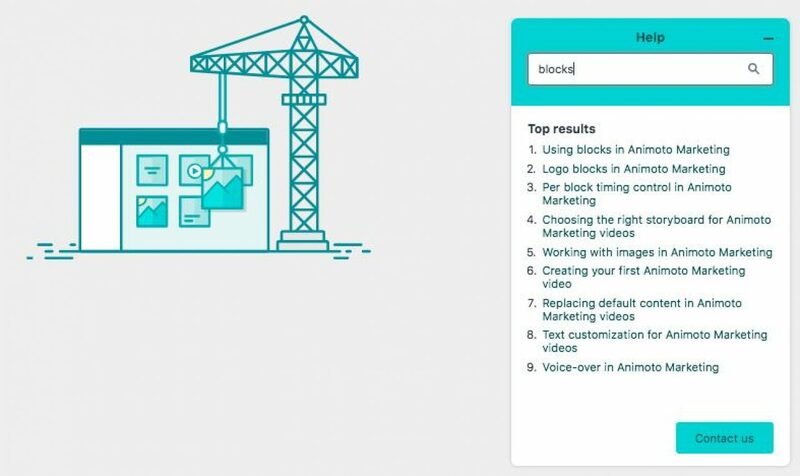 Instead, you need to duplicate an existing block and edit it, or add a generic block and customize it to match the look and feel of the rest of your video. No matter which plan you have, you can choose from 1000+ different scenes in coordinated collections, including live action, animated, and claymation. You can customize our scenes and templates with your own images, video, and logo, or choose from our selection of free stock footage. Premium account users can also choose from our library of more than 85,000 stock footage clips. 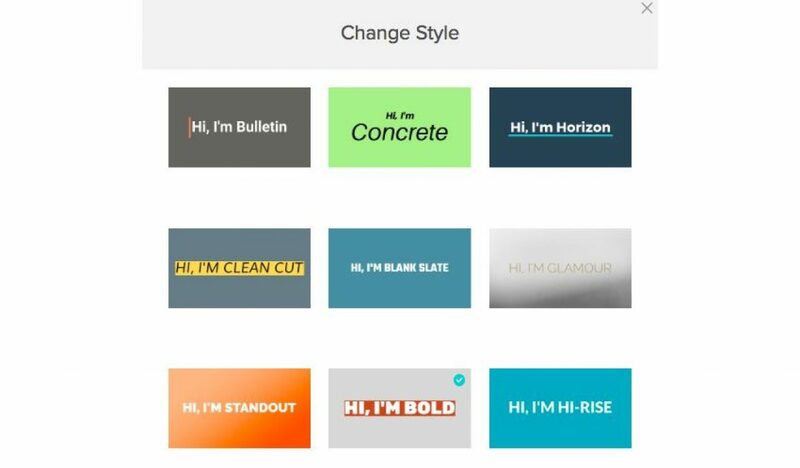 Both free and paid users can choose from around a dozen different fonts, and can customize the colors with either a premade color palette or with custom colors of their choice. For a shorter, punchier video, you can change the timing of some scenes, and you can upload your own audio track or choose a track from our free music library. Videos created on our free plan have a Biteable watermark in the corner, while Premium plans do not. Users on both plans can customize our scenes to include their own logo or branding. Animoto’s customization options can be a bit more limited depending on which plan you opt for. The Personal plan offers just three standard fonts, while Business and Professional plans get 40+ professional fonts. Likewise, Personal plan users can choose from 30 color swatches, but only Professional and Business plan users get unlimited custom colors. 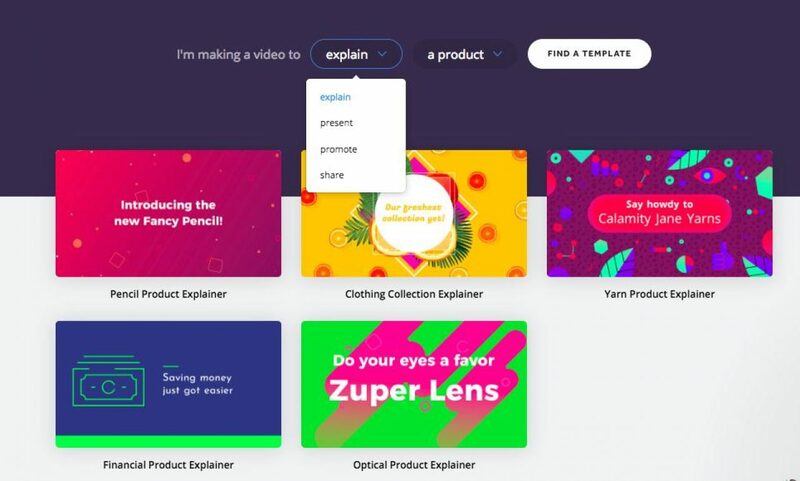 Finally, Personal plan users will have an Animoto logo at the end of the video and they’re not able to add their own logo (unless as an image on a custom block.) Professional and Business plans lose the branding and gain the ability to add a logo as a corner watermark. 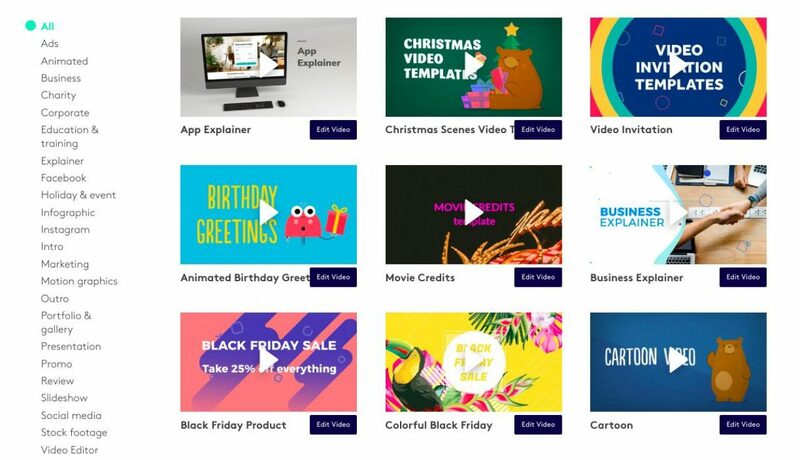 Biteable’s 200+ video templates are professionally designed by our in-house team of animators and video creators (and we’re always adding more). 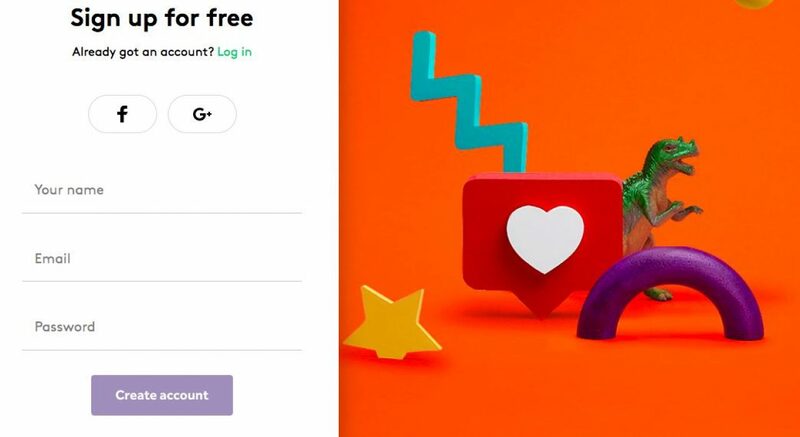 Both free and paid users can access all of them. 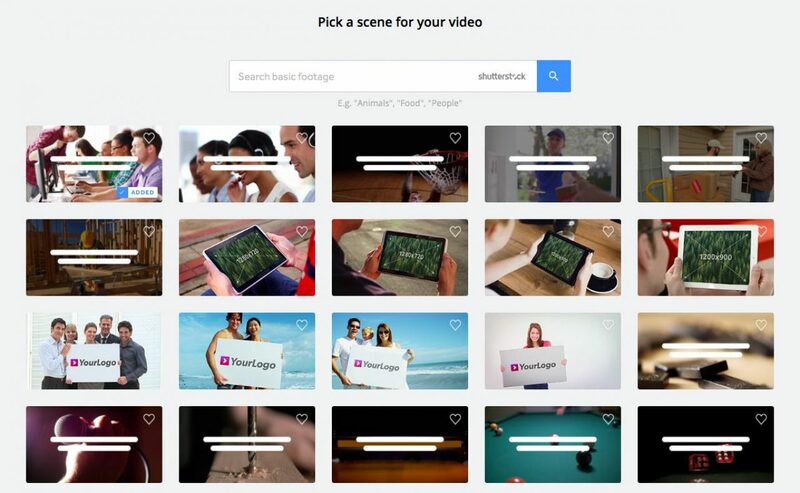 We have templates optimized for every type of video, from ads and explainers to presentations and social media posts. 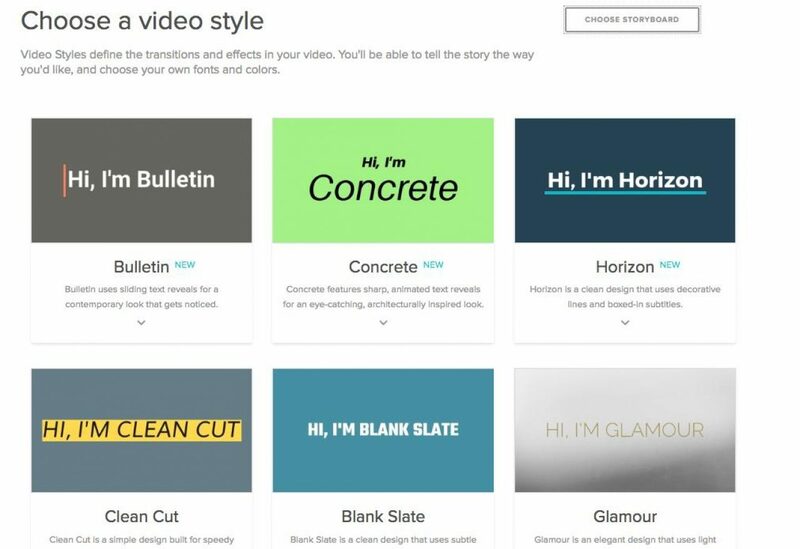 Creating a video is as simple as choosing your favorite template and adding content. 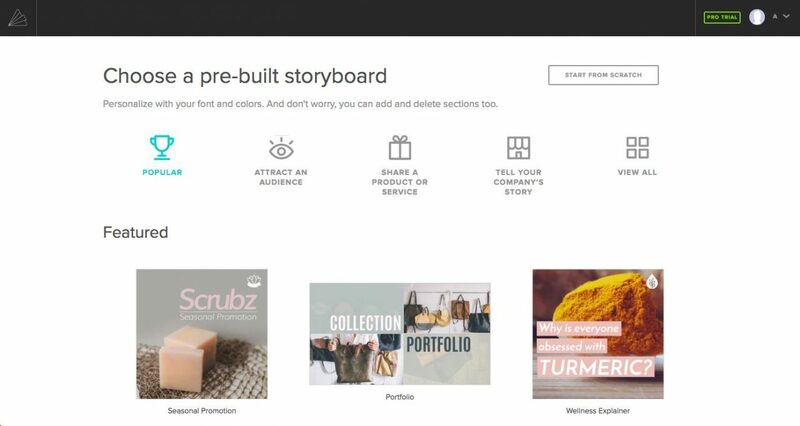 Of course, you can also build from scratch by mixing and matching any of our 1000+ pre-designed scenes to tell your story. You can choose from animated or claymation characters, abstract animation or footage, and live action scenes and templates. 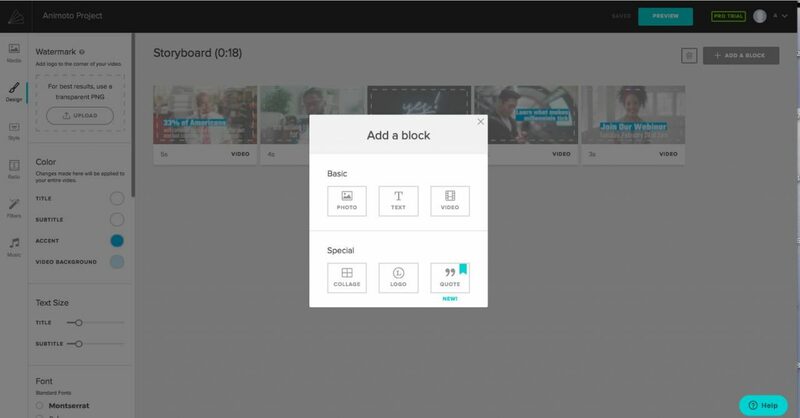 Animoto’s pre-built ‘storyboards’ are similar to Biteable’s templates — five to ten pre-selected blocks that can be customized with your own text and imagery. However, your choices are a bit more limited. The Personal plan offers just 12 pre-built storyboards to choose from, while Business and Professional plans have 50+. You can also start from scratch by choosing a style and adding blocks one by one. But it’s a bit more laborious since you can’t choose pre-built blocks. One other important thing to note is that despite what the name might imply, Animoto doesn’t offer animation. All stock footage provided appears to be live action, so if you want a video with animated characters, you’ll need to look elsewhere. A Biteable Premium account has access to Shutterstock, which means you can access one of the world’s largest stock photo and video libraries right from the editor. A free Biteable plan includes access to a smaller, hand-picked collection of hundreds of high-quality stock footage scenes, from abstract footage to people, business, and landscape themes. 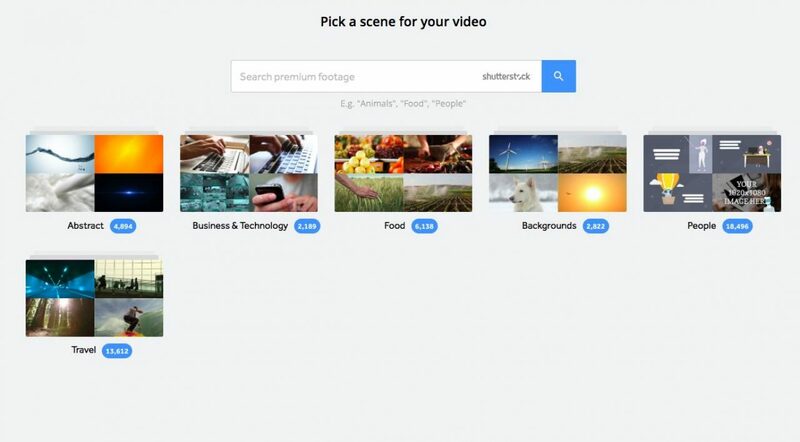 Paid Biteable users have even more options — access to more than 85,000 free premium stock footage clips for every possible theme, and individually priced clips from Shutterstock’s millions of ultra-high quality options. Just select your favorite clip and add it to your video. Animoto recently partnered with Getty Images, giving Business and Professional users access to a collection of over one million photos and videos. On the other hand, the same search in Biteable’s premium stock library resulted in 100+ adorable pups to choose from. Music sets the mood in a video, and Biteable gives you 88+ tunes to choose from in different styles and energy levels. 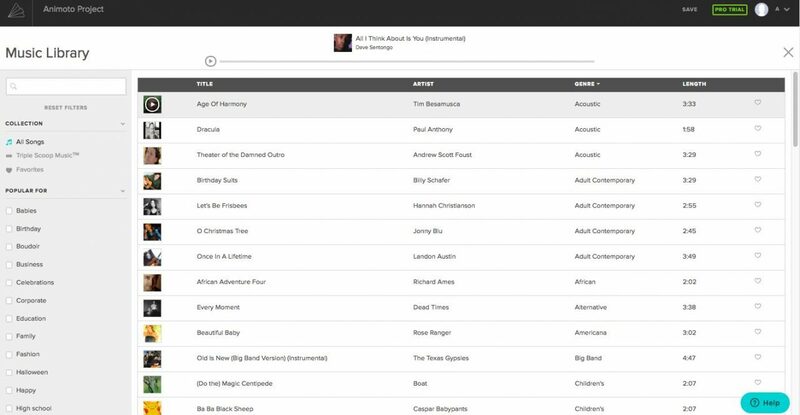 You can also upload your own voice or music track. Plus, all of our music options are available for both free and paid plans. Animoto offer quite an extensive library of music tracks to choose from. 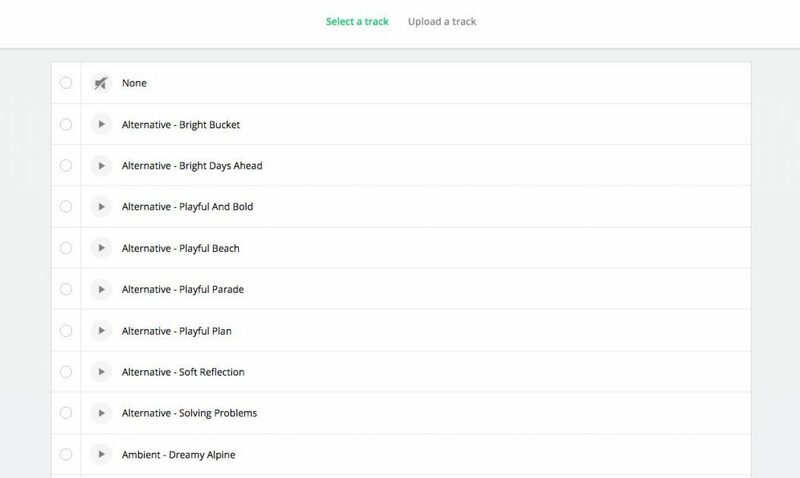 With 350+ tracks available to Personal plan users, 2000+ for Professional, and 3000+ for Business, there are definitely no shortage of tracks to choose from. The artists aren’t exactly household names, but you can sort by genre and by ‘Popular for’ to find a track that fits your video. You also get a few extra music options, like the ability to loop, trim, or adjust the volume on a song. And, just like Biteable, you can always upload your own track. At Biteable, we’re focused on providing amazing footage and animated clips for your videos, so our Shutterstock library doesn’t include photos. That said, we know there are times when only a picture will do, so we have lots of templates and scenes that can be customized with your own images, from a logo, to a product photo, custom background, or photo slideshow. 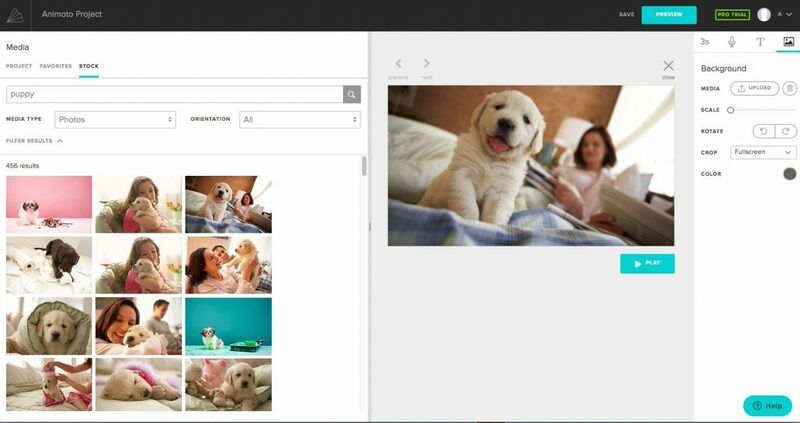 You’ll just need to choose scenes that can be customized with images: simply add a new scene from the ‘Upload/Image’ drop-down menu and upload your image. If you need stock images, check out some of our favorite places to find royalty-free images for your videos (our go-to is unsplash.com). As we mentioned, Animoto offers access to more than a million images and videos from Getty Images, and many of those are stock photos and illustrations. Photos can be added quickly to a block by dragging and dropping from the search results. When you’re done creating your Biteable video, it’s time to build your preview. Depending on how many scenes your video has, it might take a few minutes (usually about one minute per scene), but you can always leave it rendering and come back later. Watch your preview and if you need to change something you can go back and edit. When you’re ready to go live, you can build your Preview again, then click Publish and your video will be ready instantly. 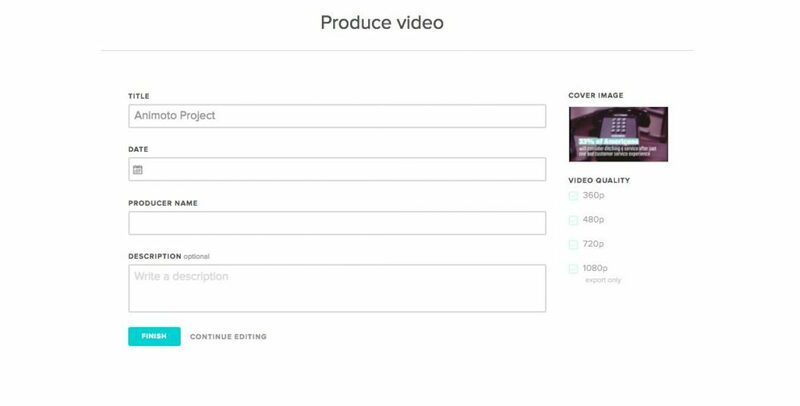 From your video page, you can also change your privacy settings (for paid members), add an end scene with a call to action button link, and change your video’s title and description. Premium members can also download from here (or from My Videos). Free members can copy the video link or embed code to use on a website, or share directly to social media. The whole process only takes a few minutes. Once you click Produce, you add a little info like title and date. Once we clicked Finish, our video took a few minutes to generate to full 1080p, but we were able to watch it before the progress bars were fully completed. From your video page, you can share to social, copy the link or embed code, and add a few advanced options like a call to action button. Both Biteable plans offer 1280×720 (720p) resolution. This is known as standard HD TV resolution, and is the same resolution used by many HD television channels. While screen size and the viewer’s distance from the screen play a role, this resolution appears sharp on most displays. For videos likely to be viewed on a smaller screen (e.g. on a computer monitor, laptop, or smartphone) most viewers can’t tell the difference between 720p and higher resolutions. Videos created using a Personal Animoto plan are in 720p (standard-HD). Professional and Business plans get 1080p (or full-HD) resolution. However, if you need a smaller file size, you can also opt to download a lower resolution video. To help you get the most out of Biteable, we have an extensive FAQ section full of tips and tricks. 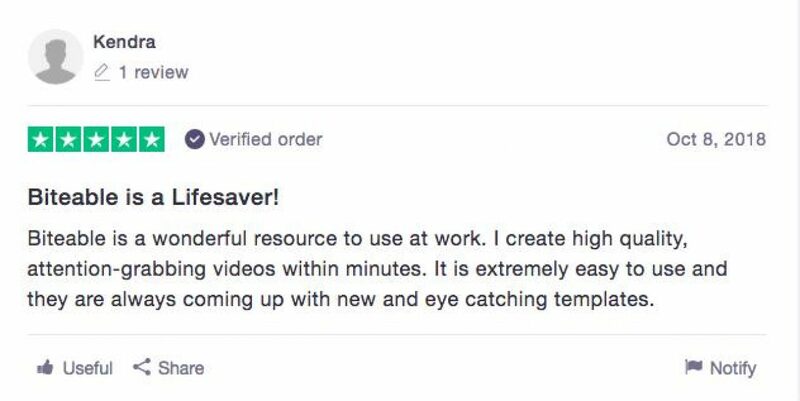 No need to leave the video editor if you have a question — you can search our Help section or start a chat with one of our online customer support people without opening a new window. Our team members are based all around the world, and we always try to answer questions within a few hours. 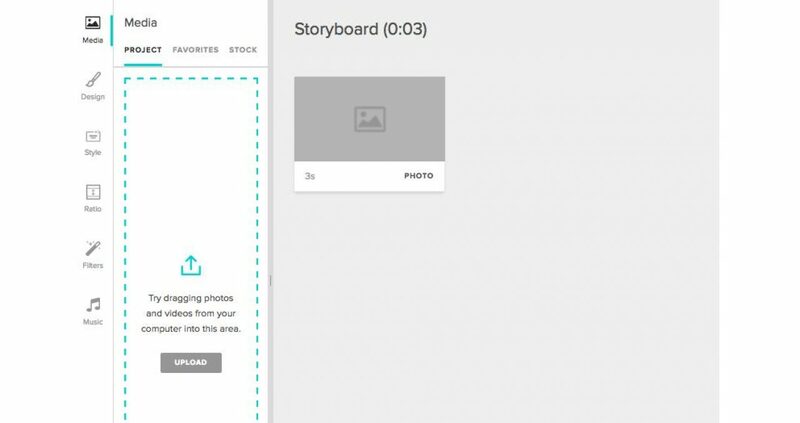 Likewise, Animoto also offer a Help button accessible from their storyboard editor. You can search the Help Center to find answers to FAQs and information about using the tool. We did find there was a bit of trial and error in finding the right search terms to get answers. If you need more help, you can submit a request, but be aware that there’s limited support available evening and weekends. While Biteable and Animoto share some similarities, there are also a few key differences to think about. Both online video makers are intuitive and therefore fairly easy to get up and running. Both offer a wide range of built-in stock footage and customization options, and both offer a selection of nicely designed pre-built templates (or storyboards) that you can customize. 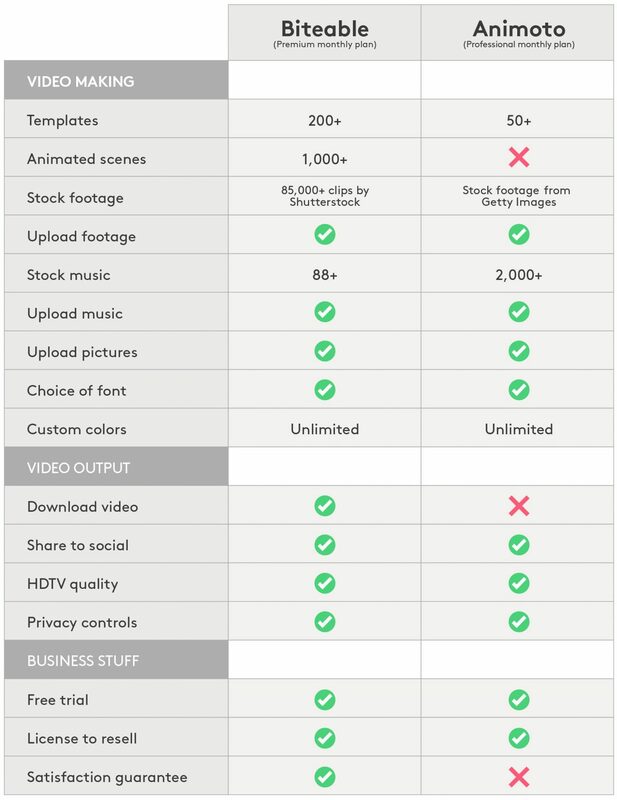 However, Biteable offers many more — some 200+ — template options compared to Animoto’s 50+ storyboards for paid plans. 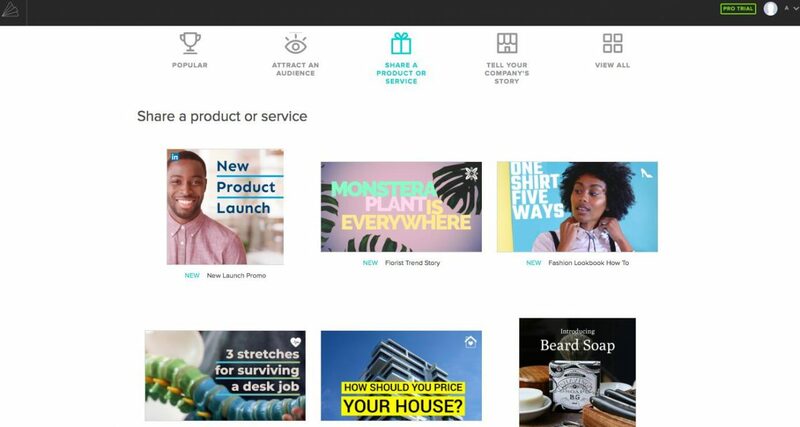 Plus, free Biteable users get access to all available templates, while Animoto’s paid personal plan users can access just 12. 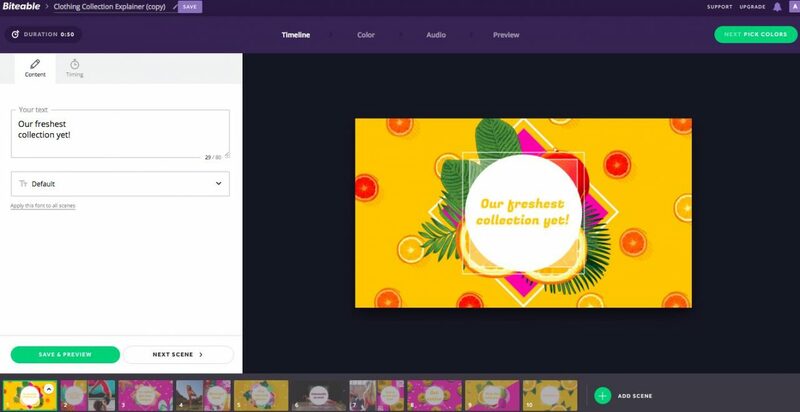 Biteable users can mix and match from 1000+ pre-built scenes to build a video, while Animoto doesn’t offer the ability to access individual scenes (though users can duplicate a scene from a storyboard and customize it, or build one from scratch). 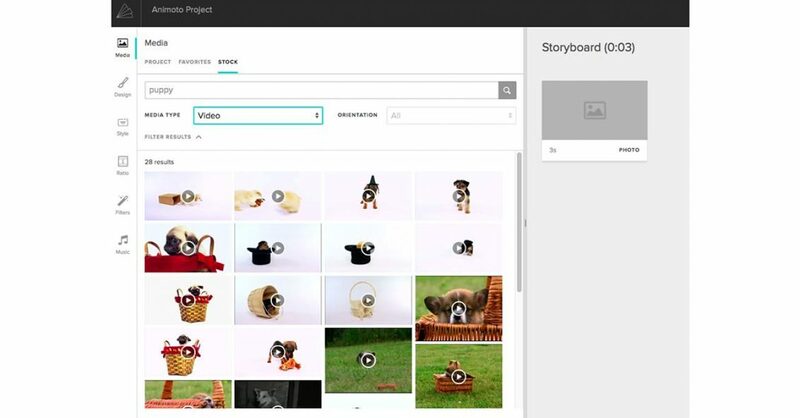 Animoto also offer no animated storyboards or elements while Biteable offers a wide range of animated characters, claymation scenes, and abstract animated scenes. Bottom line: if you prefer to mix and match and customize pre-built scenes, or if you want to be able to make animated videos (as well as live action) Biteable is the clear winner and a fantastic Animoto alternative.